ADHD is linked with a variety of sleep problems. The ADHD brain has trouble regulating neurotransmitters like serotonin, which helps regulate your sleep cycle. On Saturday 2nd March ADDults with ADHD is running the next of its popular ADHD AWARENESS AFTERNOON series about "ADHD and SLEEP". Research confirms that ADHD does not go away at night. It can cause restless nights. Even worse a long-term lack of sleep can affect your stress levels, frustration tolerance, ability to regulate emotions, focus and appetite. If you or someone you care for wants to learn more about ADHD's impact on sleep, hurry, register and reserve your seat. Don't miss guest speaker Dr Keith Johnson, Neuropsychiatrist who will be talking about "all things sleep" - such as how lack of sleep affects adults and kids, the latest research, strategies and tips for improving your sleep and for waking up healthier. FULL DETAILS (download the flyer) here. Share it with others! After the seminar mix, chat & meet new people over tea & coffee. ADHD handout information WILL BE FREELY available. 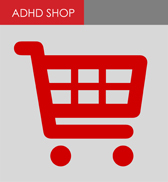 Good ADHD publications + resources will be on sale. $5 minimum donation on the day is appreciated, to cover venue/food costs. ADDults with ADHD is a not for profit charity dedicated to improving the lives of adults dealing with ADHD in themselves, their family, their friends and their clients. For over 20 years it has run quarterly ADHD Awareness Afternoons, on practical topics, led by great speakers and giving you the chance to meet and chat with others who live with ADHD, their family or friends. Get Prepared: Strategies for a Stimulating Christmas!